I remember flying into Anchorage for the first time in 1973, in awe of the majestic mountains and the city so perfectly nestled below. I instantly knew that this sacred land held great promise — the type of promise measured by how its citizens care for and invest in the public education and well-being of all children. Today, I am still in awe of that collective care and responsibility for our youth, which motivated me to running for Seat A on the Anchorage School Board. I am running to ensure that we, as a community, remain laser-focused on the academic, cultural, social and emotional well-being of all children in our community. My plan is simple yet complex – it is a commitment to fight for adequate funding, safety, equity, and accountability. I’ve spent over 40 years serving the families of Anchorage as a public educator and community servant. I’ve been a teacher, a librarian, a principal, central administrator and a consultant. I now want to continue that legacy of service as a member of the Anchorage School Board. Why? because I believe in the promise of public education and I know that great schools make awesome communities! I am committed to working hard every day to make Anchorage Schools a better place for students, staff and families. My husband and I are the proud parents of two children who graduated from Polaris K-12 and East High Schools. Both benefited from an excellent public education, and so will their children. I have hired and mentored educators who are now school and community leaders. No matter what title I have held, my role and passion has always been to advocate for all children, their families and for the adults who teach them. 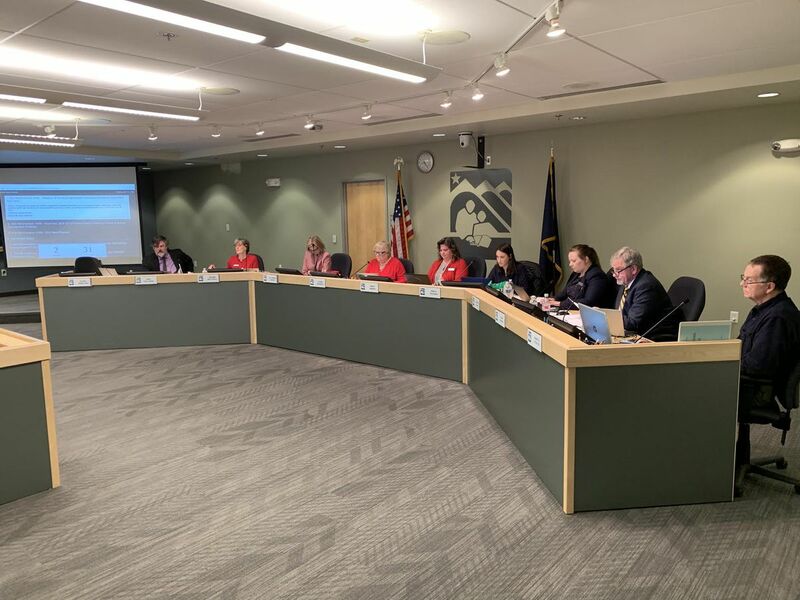 Like many school districts across the nation, Anchorage School District is facing potential budget cuts while charged with fulfilling the promise of preparing children for their post-secondary education and/or the workforce. It takes funding to cover the operational expenses of employing teachers, administrators, curriculum content specialists and other professionals whose expertise ensure that children with unique learning challenges are supported. Schools need electricity, water and maintenance, which comes at a cost. As a board member, my plan is to fight for adequate funding and make sure that the policy infrastructure is in place so that schools are running at optimum efficiency and success. As a grandmother of an ASD student, I expect my grandson and all students to return home after every school day. I expect all students to be physically, socially and emotionally safe at school. Safety has to be a priority so that learning can take place in an environment that is academically challenging, respectful and nurturing. This means that all students will experience adults that are knowledgeable and caring; in facilities that are safe, sound and up to date with access to technology, research-based curriculum and with the resources available to meet their individual needs. It also means that staff, students and the adults charged with protecting students have the training and vision to be sensitive to every student’s unique needs. There are pockets of student success within the district. I would like to work collaboratively towards identifying and removing barriers to student success, be they academic, procedural or operational. It will take all of us working together to get to our end goals of student success for all. District data shows that groups of our children are not doing as well as they could. However, I believe that we can fix it. We will do so with universal pre-K, highly trained teachers, research and evidence-based curriculum, as well as the tools and resources that give teachers the tools they need to take students where they are and give them the supports, opportunities and resources they need to be successful. One of the most heartwarming things about living in Anchorage are the hugs and conversations that occur when I run into former parents, students and staff. Seeing the positive impact of my life’s work and leadership in the well-being of my former students and their children cannot be gleaned in words alone. I see it as a continued call to action to make Anchorage School District the kind of place that a new generation of Alaska children can thrive and continue a great legacy. Margo Bellamy is a candidate for Anchorage School District School Board Seat A. She lives in Anchorage.